This revised, updated edition offers essential guidance for dealing with problems in the workplace and at school; avoiding the pitfalls of social media, texting, and online communication; and when to seek professional help. 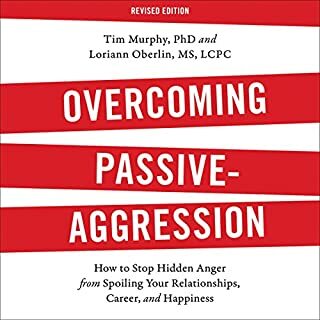 Whether you need ways to manage your own anger or ways to cope with this behavior in others, Overcoming Passive-Aggression shares sage advice, practical exercises, and opportunities for personal growth. 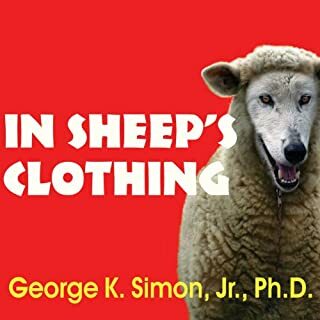 This audiobook offers guidance for dealing with this common and frustrating form of behavior. Many people often say "yes" to something when they'd rather say "no." They offer cooperation through words but follow up with how they really feel - in actions that contradict their words. That's passive-aggression. At its heart, passive-aggression is about being untrue to oneself, which makes it impossible to have a clean relationship with others. Difficult? Stubborn? Hostile? Procrastination? Free Yourself Now! What is passive aggressiveness? Which people in your life display this behavior? How can you stem passive aggressive behavior? Personalities: Passive Aggressive explains this common and insidious personality trait and how you can cope with it. 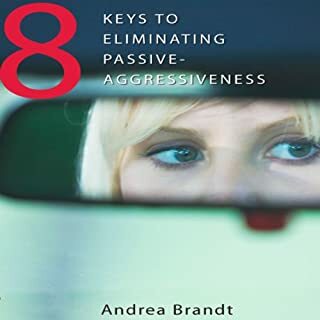 You'll find out about how passive aggressive behavior is related to bullying, and how to recognize when passive aggressive behavior is directed towards you. 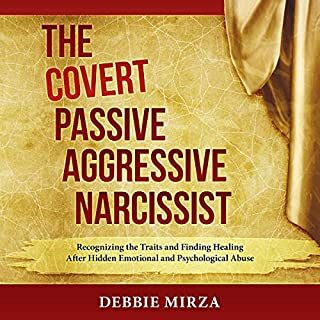 This book contains proven steps and strategies on how to overcome passive aggression in your own life and how to deal with it in others. Passive aggression is an expression of hostility towards others, whether direct or indirect. It can manifest itself in a variety of ways. Passive aggressive behaviors can occur in all types of relationships, from personal to work. There is a quiz that will tell you if you or someone you know is expressing passive aggressive behavior. He says he loves you. So...why does he do that? You've asked yourself this question again and again. Now you have the chance to see inside the minds of angry and controlling men---and to change your life. 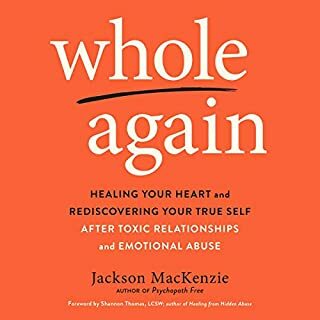 In this groundbreaking book, a counselor who specializes in working with abusive men shows you how to improve, survive, or leave an abusive relationship. Gives deep understanding of an illusive problem! Featured on Oprah and Sally Jesse Raphael, this definitive look at the dynamics of male-female communication gets to the heart of the all-too-common phenomenon: women who are ready and willing to commit, and men who back off just as the relationship moves toward the next level. 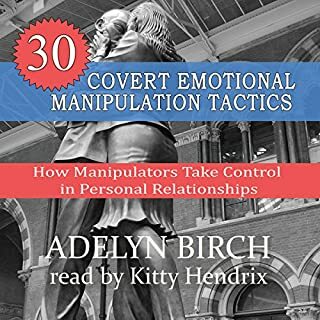 This book can help you recognize early warning signs of the commitmentphobic man and avoid unnecessary stress and heartache. Best audiobook I have ever listened to!!!! The catch-me-if-you-can lover...Phil's romantic and passionate one minute, distant and cold the next. The deviously manipulative coworker or boss...Jack denies resenting Nora's rapid rise in the company, but when they're assigned to work together on a project, he undermines her. The obstructionist, procrastinating husband...Bob keeps telling his wife he'll finish the painting job he began years ago, but he never seems to get around to it. These are all classic examples of the passive aggressive man. This personality syndrome - in which hostility wears a mask of passivity - is currently the number one source of men's problems in relationships and on the job. 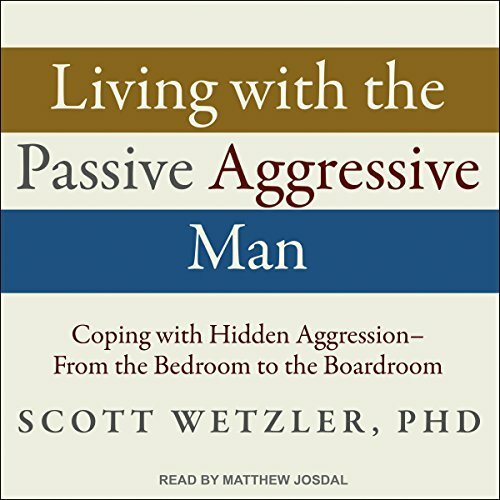 In Living with the Passive Aggressive Man, Scott Wetzler draws upon numerous case histories from his own practice to explain how and why the passive aggressive man thinks, feels, and acts the way he does. This book is a good review of the contributing factors and possible outcomes of the PA type man, as well as the personality types attracted by them. It is a good aid into figuring out how on earth you got involved in this kind of relationship. I appreciated all the information in this book. It had actual life applicable information. On top of that, it was interesting. If you could sum up Living with the Passive-Aggressive Man in three words, what would they be? What was one of the most memorable moments of Living with the Passive-Aggressive Man? Which character – as performed by Matthew Josdal – was your favorite? relief that it was happening to me....since one wonders if it is your issue.